Birds are cued to migrate by external cues such as temperature and the spring green-up of plants around them. 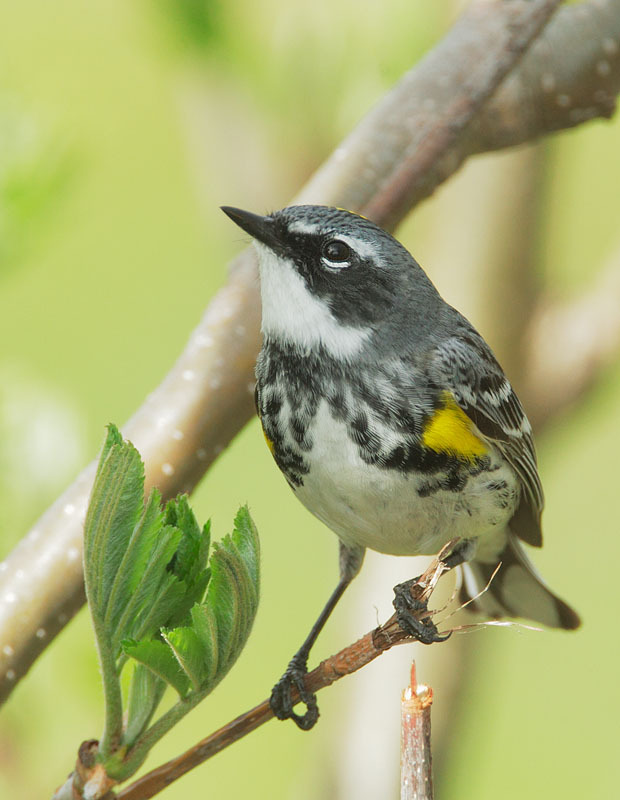 While the relationship between temperature and the timing of bird migration is well studied, whether bird migration can be predicted using estimates of spring vegetation green-up is less well understood. The authors of this study used data from two continental-scale observation networks to explore the relationship between migratory birds and environmental cues - observations of migratory birds submitted to eBird and weather surveillance radar, which can detect large groups of migrating birds. They compared the observation data to measurements of vegetation green-up collected via satellites and the USA-NPN’s Spring Leaf Index. The Spring Leaf Index was strongly related to both the estimates of bird species richness from eBird observations and migration intensity collected via weather radar. This demonstrates that the Spring Leaf Index may serve as a valuable indicator of when birds are migrating. This study revealed that the Spring Leaf Index shows a much clearer south-to-north progression of vegetation green-up than estimates derived from satellite data. The Spring Leaf Index serves as a link between temperature and plant phenology that reflects migratory bird activity. This study demonstrates the utility of the Spring Leaf Index as an indicator of green-up of plants in the springtime across large geographic areas. Migrating birds have evolved to rely on internal and external factors to best take advantage of the food resources in their breeding ranges. The pace of climate change may prove too rapid to allow birds and the food sources upon which they rely to adapt. By better understanding how birds and the habitat on which they rely are responding to climate change, managers will be more equipped to take actions to promote and conserve habitat where it is needed.